On February 13th (Wednesday), from 11:00 till 16:00 VMU Cooperation Department is inviting students to learn more about exchange studies and traineeship’s at “Exchange opportunity Fair”. Event will take place in the lobby of V. Putvinskio g. 23, Kaunas. During the event on 1st Floor lobby of V. Putvinskio 23 building we will have booths of Faculty students’ experts providing information about partner institutions. 14:00 – 15:00: Other Faculties. Competition for Erasmus+ studies for the academic year 2019/2020. Application deadline: March 3 (23:59), 2019. For students from Music Academy application deadline is February 19 (23:59), 2019. Competition for exchange studies at non-EU/EEE countries (non-EU countries). 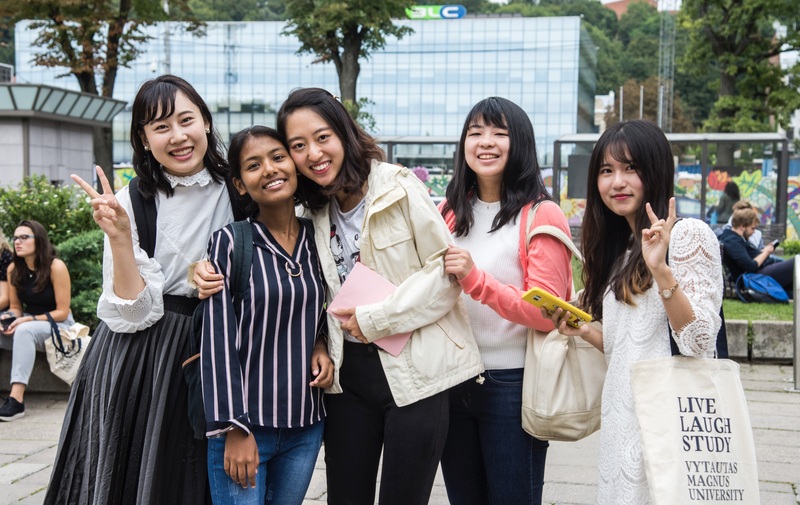 Application deadline: Japanese universities February 17 (23:59), 2019; other universities till February 25 ((23:59), 2019. Competition for traineeship at non-EU countries with Erasmus+ or VMU Mobility scholarship. Application deadline: April 5 (23:59), 2019. Erasmus+ Traineeship Competition. Application deadline: April 16 (23:59), 2019. Team of VMU International Cooperation Department encourage everyone to not miss the chance to complete the application and to make use of this wonderful opportunity!